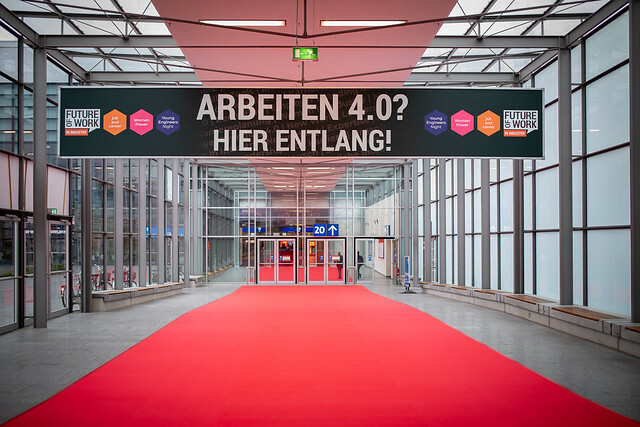 The job and career at the HANNOVER MESSE is the career expo with its finger on the pulse of the industry sector. Embedded in the world's leading fair, it offers people from the MINT sector who are interested in a career five days full of interactive workshops, free coaching sessions on careers, exclusive guided tours, top-networking opportunities and a diverse range of employers and job offers. Because your professional opportunities in the industry are as diverse as you are, you can set your topic focus with us individually. The program of the job and career remains, on selected days you will also find special guided tours, events, keynote speaches and employers on the topics IT, Young Engineers and Women Career. Discover your options, because here it is about you and your personal success.